The Korean Institute of Sports Science continues its lecture series at the Philsports Complex in Pasig City today. PSC Chairman William Ramirez speaks about the benefits that can be received from the Korean Institute of Sports Science. This will be the Philippine Sports Commission’s fourth installment of the Sports Science Lecture Series with the KISS at the Philsports Complex in Pasig City. There will be around 70 coaches, sports practitioners and teachers who will attend. Specialists from the KISS, like Dr. Hyunjoo Cho who will talk about Sports Policy: Global Coaching Leadership, will conduct the lecture series. There’s Dr. Hongsun Song, who is slated to discuss Sport Talent under Exercise Psychology. For Biomechanics, Dr. Jeheon Moon will lecture on Change and Future of Biomechanics in the afternoon. A lecture on the practical applications of sports medicine by Dr. Eonho Kim will follow. UNESCO-KISS Chairman and Program Manager Dr. Hyunjoo Jung will also be in attendance. 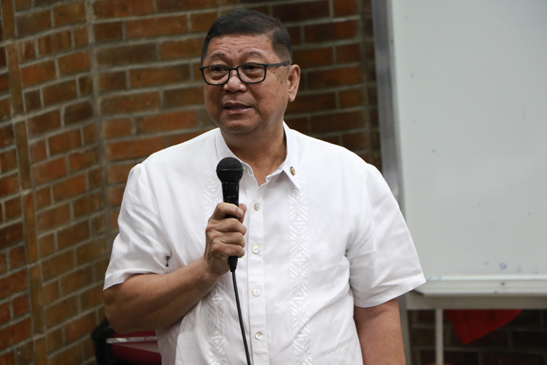 This has been going on for two straight years and has benefitted quite a number of coaches, athletes, administrators and teachers,” PSC chairman William Ramirez said. Ramirez believes that this partnership is a milestone considering the impact it has with the participants. KISS officials visited the PSC last month to finalize details for this fourth lecture. The PSC’s Philippine Sports Institute oversees the seminar, with National Training Director Marc Velasco at the helm. The PSC is an agency of the Philippine government which oversees matters concerning sports in the country. The sports agency is independent from the Philippine Olympic Committee which enjoys autonomy from the government. The PSC was created in Jan. 24, 1990 through Republic Act 6847 or “The Philippine Sports Commission Act” during the administration of then-President Corazon Aquino.